Nothing beats a good slice of ‘za in New York, but let’s be honest…dollar slice has a time and a place. That’s why we’ve put together a list of the top places to grab a pie in Long Island City! 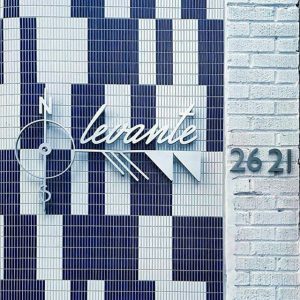 Where the heart of Italy meets a New York twist, Levante offers pizza-centric, Italian eats in a vibrant social setting. Located only two blocks away from the historic Court Square, a trip to Levante’s provides you with a tour of the town and a taste of Italy. A classic New York pizza at an affordable price…what more could you want? 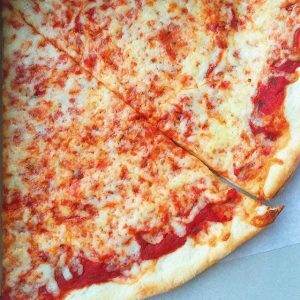 Mike’s Pizza offers an array of New York pies from a classic cheese to a simple Sicilian slice. The wait won’t take long, but you can play an arcade game in the meantime! 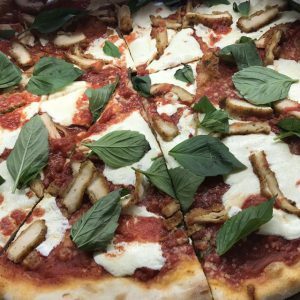 New to the area, but Beebe’s is already one of our favorites if you’re searching for delicious wood-fired pizza in a rustic setting. 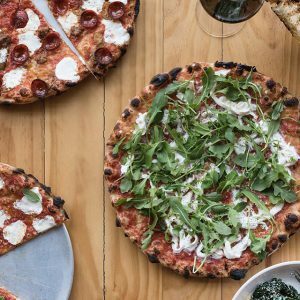 Ran by former Emmy Squared chef and pie slinging king, Lou Tomczak, Beebe’s was created in an attempt to meet classic New York pizza with a wood-fired twist. We’ve got to tell you, Lou, it’s working! “As far back as I can remember, I always wanted to be a gangster.” – Henry Hill A pizza gangster, that is! From good prices to a baked ziti slice, Goodfellas Pizzeria is your place to find some ‘za and break out your best GoodFellas references. Now, who else is ready for a pizza tour of Long Island City? We’ll meet you there!